What to do when the other parent holds items for ransom. Sometimes in divorces, one parent will take control, by force or deception, of items of importance to the other parent. For instance, one parent may have the family photos electronically stored on their own computer. Or maybe they have the only copy of the wedding photos, or the children’s first set of clothes. When that happens, sometimes the parent will be tempted to try to hold the item for ransom. Maybe proposing that they’ll give it up if the other parent gives them more spousal support, or a better parenting plan. While underhanded, immoral, and rude, this proposal is not illegal. 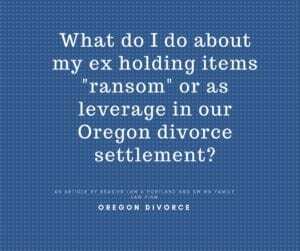 Don’t fear if this is happening to you though, when going through an Oregon divorce there are options. What Options do I Have to Get These Items of Importance to me? First, people can get away with proposals like this because Oregon law protects “settlement negotiations” as confidential. That means, you can never go to court and tell the judge what the other person proposed during your divorce settlement negotiations. If the judge could hear this, it certainly wouldn’t endear them to the ransomer, but unfortunately simply telling the judge about it is usually inadmissible. The best thing to do usually is to ignore their proposals, and just file a temporary motion asking for the judge to order the items to be placed in a safe location, or to be provided outright before the divorce date. The judge has that authority to order copies to be made, and the other parent can be held in contempt if they refuse to cooperate. The real problem comes, if they are going to play really dirty pool, and tell the judge the photos were deleted, or their hard drive were wiped. It can be very expensive and difficult to prove these types of lies. Most people don’t take their threats this far, as the consequences for getting caught lying to a judge are usually severe. While it can be frustrating there usually is a way to get these special items over the course of a divorce. You can read more about how sentimental items may be “divided” or shared in our article, Divorce and Dividing Sentimental Items. 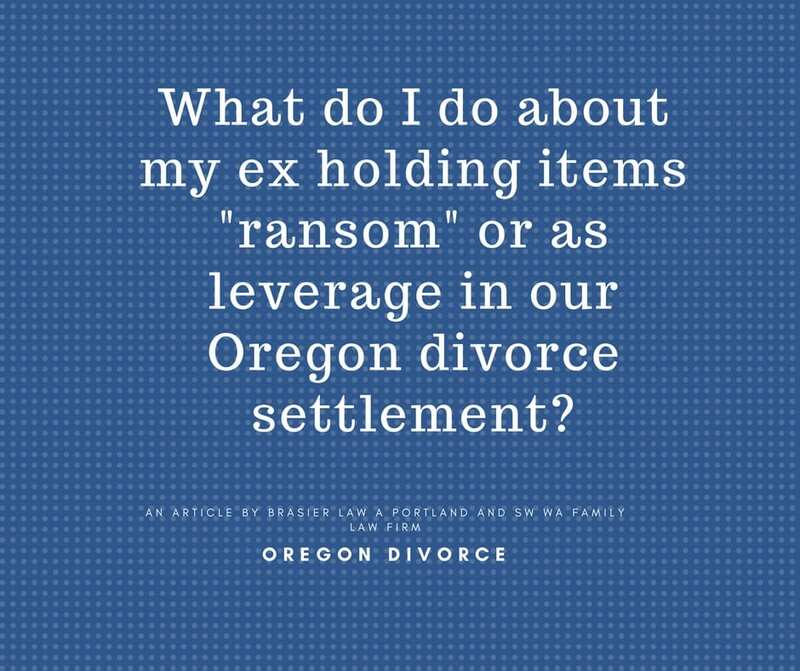 We also have several articles about other types of asset division you may find interesting, Dividing Assets in an Oregon Divorce is a good one to start with. You may also find our article about dealing with a bully during divorce to be helpful. Family law attorney Tom Brasier specializes in divorce, custody, and protective orders and works throughout Oregon and Washington with his law office, Brasier Law, located in Portland, Oregon. This article is not meant to replace the advice of an attorney, please check with your attorney about the specifics of your case. 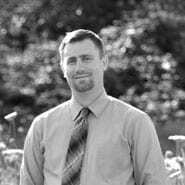 You can reach Tom at 1 (503) 855-4777 or by using the contact page below.